Self piercing brass gilt eyelet and ring. Outside dia 23.81mm, Inside dia 12.70mm, Barrel length 7.94mm. Nickel finish also available from stock. 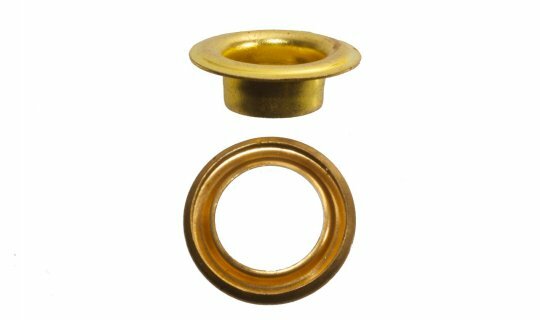 OPAS self piercing eyelets and rings are manufactured to the highest standards and this huge range of sizes and styles can usually be supplied from stock. 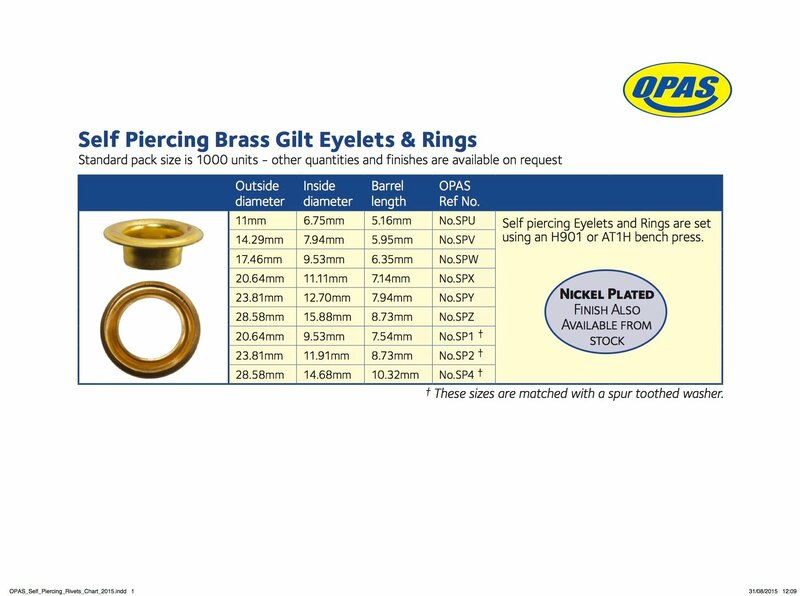 Self piercing eyelets and rings are set using an NoH901 or NoAT1H bench press - these and other machines are supplied by OPAS. If you need any advice on the best product and setting method for your application, OPAS are happy to provide professional expert advice.